The bedroom door swung open to reveal a female figure huddled over a wooden chest of drawers. Try as she might to hide the evidence, the tell-tale trail of white powder and tightly rolled £20 note had already been spotted. It’s the sort of excuse and pleading that many a shocked mother has heard from a rebellious child caught dabbling in drugs. But Sandra Salmons wasn’t a troubled teen, she was a 46-year-old middle-class mother of one who had — unbeknown to her family — been addicted to cocaine for four years. And that afternoon she had just been discovered taking the drug by her daughter, Lauren, 21. What took place over the ensuing years is both a shocking tale of one affluent mother’s descent into addiction, and testimony to a daughter’s unstinting love in the face of repeated betrayals. This is no exaggeration. At the height of her addiction, Sandra spent a staggering £1,000 a week on cocaine. Ultimately, it would cost her almost everything she held dear — a loving husband, a lavish five-bedroom home in Essex and every last penny she’d earned. When she hit rock bottom, there was only one person left willing to assist her — Lauren, who footed the £28,000 bill for a rehab programme that would eventually rid her mother of her addiction. Yet astonishing though her story is, it is far from a one-off. According to statistics from the National Treatment Agency For Substance Misuse, between 2005 to 2009 the number of women treated for cocaine addiction rose by a massive 55 per cent — with a 47 per cent rise among women over 40. Harry Shapiro, director of communications at DrugScope, the UK’s leading centre of drugs expertise, says the falling price of cocaine has moved its use beyond celebrities and the super-rich, attracting stressed or disaffected middle-class women like Sandra. ‘With average prices falling by £45 to £50 a gram over the past 20 years, cocaine has shed its exclusivity but retained some of its glamorous image,’ he explains. So how did a woman like Sandra become addicted in the first place? Brought up in a comfortable home in Stratford, East London, by her engineer father and housewife mother, she showed huge promise in early adulthood. At first, she tried to fill the gap with nights out with her friends. Sandra’s husband simply put her behaviour down to her being the life and soul of the party. Even when their daughter was old enough to witness the effects of her mother’s drunken binges, Sandra couldn’t bear to stop. 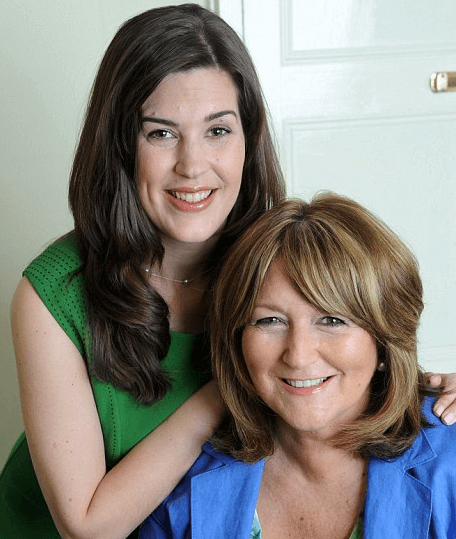 ‘I didn’t like it when Mum was sick from her hangovers, but she was always very glamorous and my friends loved her,’ recalls Lauren, now a 30-year-old accountant from Woodford Green, North-East London. It was in 1997 that Sandra’s life began to unravel. In quick succession, her husband had a debilitating heart attack and her father died, then Lauren left home to attend Exeter University. Lonely and depressed, Sandra took refuge in alcohol more frequently. Then came the turning point. Out on a night with the girls in a London club, she was offered cocaine. She was 42. ‘I knew that a few of my friends had tried it, and thought: “Why not?” ’ she says. Within two months, Sandra was using the drug on weekdays, too, and got a dealer of her own. Like many addicts, she kidded herself that her habit wasn’t a problem. And in one sense, she was right. With her husband’s business — where she now worked in administration — thriving, finding the money to pay for the cocaine wasn’t an issue, even when she soon found she needed more and more of the drug to experience the same sensation. ‘If I was at the gym, I had to get off the treadmill to get high in the middle of a workout,’ she admits. ‘Even on smart dinners out with other couples, I would disappear to the toilet. Even potentially lethal incidents like this failed to bring Sandra to her senses. She hid behind the façade of respectability — she was slim and still took care of her appearance, ensuring her nails and hair were perfect and her clothes were smart. But beneath the surface her personal life was falling apart. Her husband became increasingly intolerant of her wild mood swings, though he did not suspect the true cause. Even when Sandra moved out of the marital bed so she could get up and take cocaine unnoticed during the night, she told him it was because he was snoring too much. ‘He seemed shocked and hurt, but he let me go. Some nights I would watch him quietly go up to his room and it made me feel so sad. I could see how lonely he was. But I couldn’t give up, so I pulled away from him completely. But he did take one drastic step — telling Sandra she couldn’t work with him any more at the family firm because she was taking too much money out of the business. So, desperate for money to keep feeding her habit, she found work as an administrative assistant for a plastic surgeon. It was only when her daughter Lauren returned home to live with them after university that she was finally caught taking the drug red-handed. Eventually the constant deception and disparity in lifestyle took its toll on Sandra’s marriage. In 2004, the couple went their separate ways — with her husband still none the wiser about her drug use. Sandra moved into her own flat and at first her hefty divorce settlement (which included proceeds of the house sale) funded her £1,000-a-week habit. By then, she was snorting a staggering five grams of cocaine a day — that’s a line every ten minutes — at a cost of £40 to £50. Over the next few years, Sandra descended into the abyss — selling her car, jewellery and furniture to fuel her habit. Facing repossession of her flat, she emotionally blackmailed Lauren into giving her £10,000. By then, Lauren was working full time as an accountant, living in Islington, North London, with her long-term boyfriend James. By now, Sandra’s hair was falling out in clumps and her skin was yellowy-grey — both common symptoms of cocaine use due to malnutrition, as heavy users tend to eat very little. Eventually Lauren realised she had to act or her mother would die, and got in touch with a company called Sober Services, which can arrange ‘interventions’, in which drug users are visited at home by reformed ex-addicts and urged to confront the reality and consequences of their habit. Sandra agreed to check into rehab. But over the next 28 days, surrounded by other middle-class addicts, she became abusive and unpleasant to the staff. Before she left, she was advised to seek further treatment — which required a further £8,000 from Lauren (scraped together from savings, her boyfriend’s bonus and selling jewellery) for a more intensive three-month programme in South Africa (one of the cheapest options available). It was only there — as the drugs and alcohol eventually left her system — that Sandra finally began to face her demons. But she kept on with the therapy, eating three meals a day, even cooking again. In the group sessions, she confronted the fact she had been manipulating her loved ones for years. Her real test came when she returned to the UK. Thankfully, Sandra didn’t waver, but it was a while before Lauren would trust her mother again. Knowing alcohol had been the gateway drug to her mother’s cocaine use, she continued to monitor her closely. In the meantime, Sandra cut off all ties to her old life. She has now been clean of drugs and alcohol for two years, seven months and 22 days. Even now, every day is a struggle. ‘It’s still a constant battle to stay away,’ she admits. ‘Just the smell of champagne brings back my craving for cocaine. But I have to stay strong, for Lauren as well as myself. For her part, Lauren says her devotion to her mother is unwavering.